We will set up an appointment quickly , and have our technicians go to the job site ASAP. Customer convenience is our highest priority. We specialize in both residential and commercial cleaning. Our staff will inspect all your ductwork and make sure to let you know if there’s a problem with your air quality, so you can make the right decision. Each one of our technicians are trained to use our state of the art equipment to get the highest air quality you can receive. When we finish we will make sure that every job site is as clean as when we started. Our staff always puts your family’s safety and security as their top priority. Worry no more about inexperienced technicians. Professional dryer and duct cleaning has never been easier. Let us clean the air you breathe in your home. Duct Squads did an excellent job on my home A/C. Every member of their team was courteous, honest, and genuine. They’re not like the other guys, they’re the real deal. Duct Squads actually investigated my problem and tried to find the best solution for me instead of just immediately trying to sell me something I didn’t need. From calling in and setting the appointment to Brian the tech coming and performing all the work, it was a great experience. Everyone is extremely professional and respectful. Brian was very knowledgeable, considerate, respect full and made sure that all doors were shut and never left open. Brian answered all the questions I had and did an outstanding job. I would highly recommend this company for duct cleaning. I have learned they do other things as well such as insulation. Definitely check this company out and all their services. Outstanding company and prices are very good as well. Mateo and his crew were very kind and professional. They showed up on time and completed the job in a reasonable amount of time. I am very pleased with their service! Will recommend! The Duct Squad Team did an excellent professional job. They worked with me to get a good fit for time and day to get the work done. I highly recommend Duct Squad for all your air duct cleaning, dryer vent cleaning, and blown in insulation. 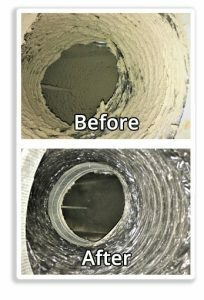 Duct Squad did a professional job cleaning our ducts. I recommend the team of Mateo, Elmer, Randy and Adam. They worked diligently and thoroughly cleaned each register and return air. My house smells so clean! So professional and clean. Office personal are very nice and efficient. Sales man was professional and knowledgeable. Technicians were fast, clean and deal an awesome job. Will defiantly be recommending Duct Squads and using them again. Bryan came by today to clean our ducts. He was very professional and he is the only service man I have ever had out that actually shut the door completely behind him! I know this might sound silly, but every time I have someone come work on something they never shut the door and it lets out all the a/c! Small things like that make a huge difference! One of our vents had a lot of mold in it so he offered to do it a second time for us. Showed up at a time later in the day to accommodate me and did a great job! Answered any questions I had and told me their procedure for cleaning so that I knew what was going on. As dust, debris and other contaminants slowly buildup and circulate through your home, the cleaning of your duct system can easily be neglected. In order to reverse this process, we use specialized Rotobrush equipment to brush and vacuum each of your ducts from the vents all the way to the furnace.